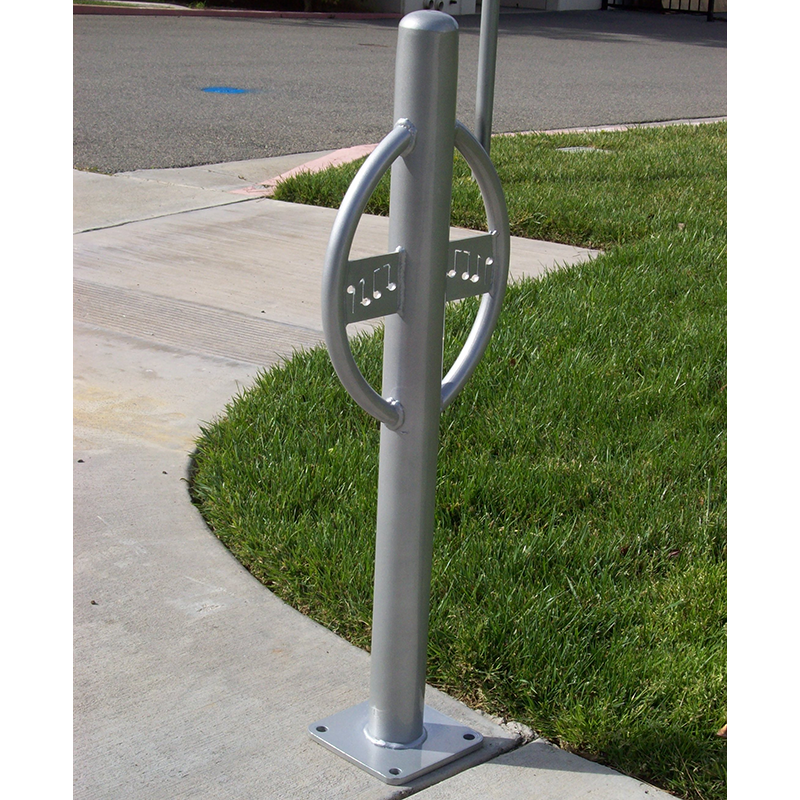 The perfect balance of style and function. 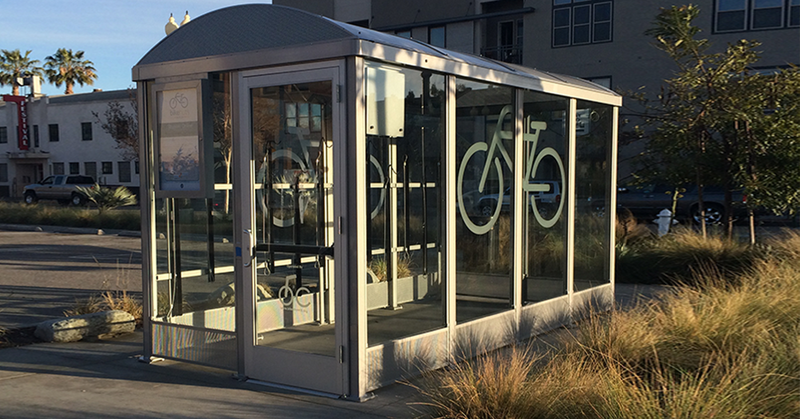 Help your cycling passengers with first-mile, last-mile options. 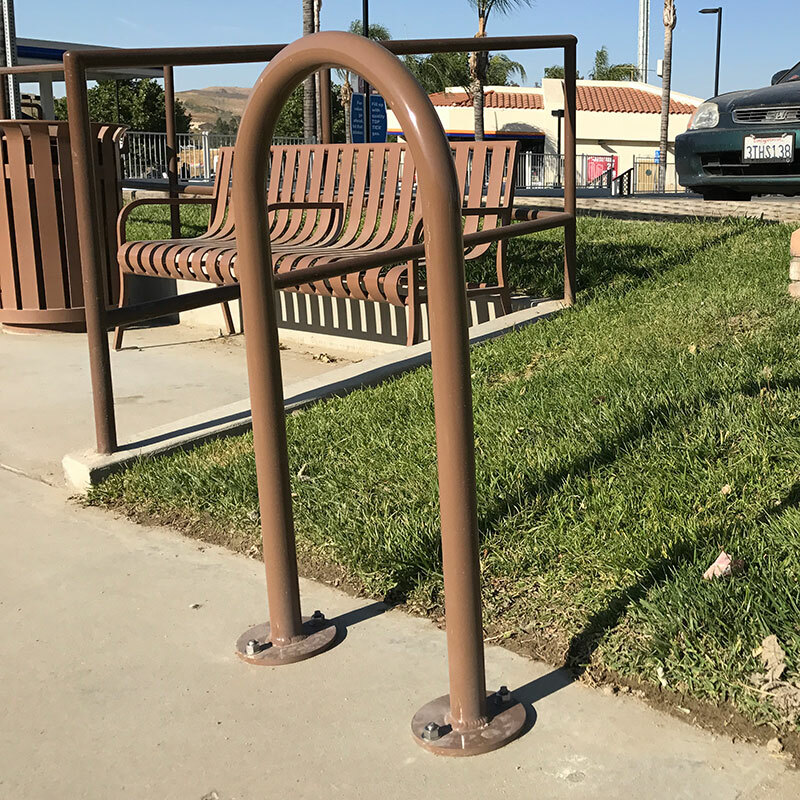 Even if your buses have bicycle racks on-board there are peak travel times when a bike simply needs a secure place to be locked when bus racks are at capacity. 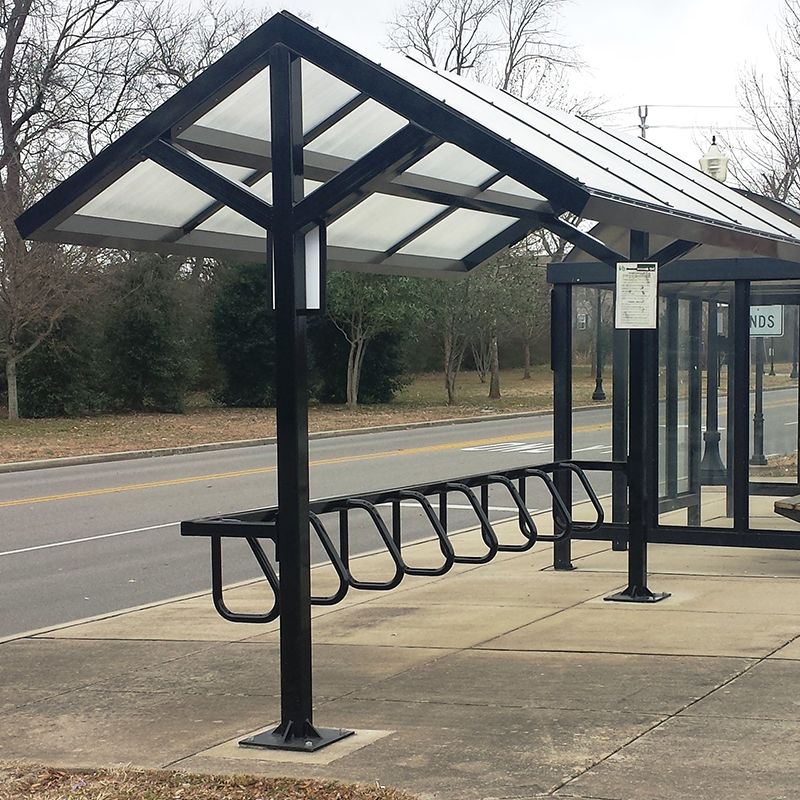 Enter Tolar’s bicycle solutions with options including free-standing loops, pedastals, and completely enclosed bike shelters. 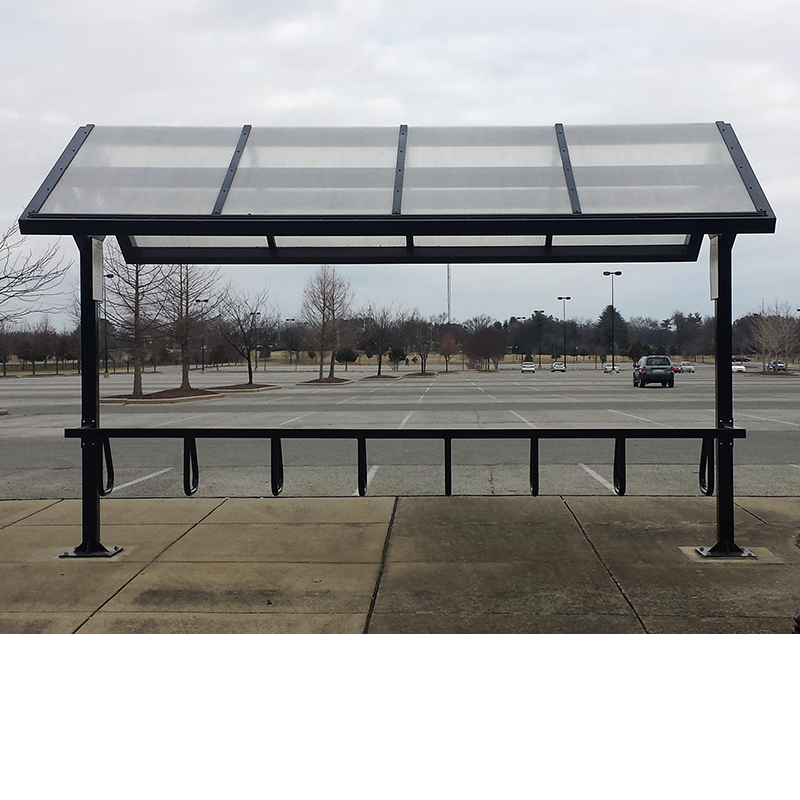 Signature 180 – 15’ high peak no-wall shelter solution with integrated bike rack. 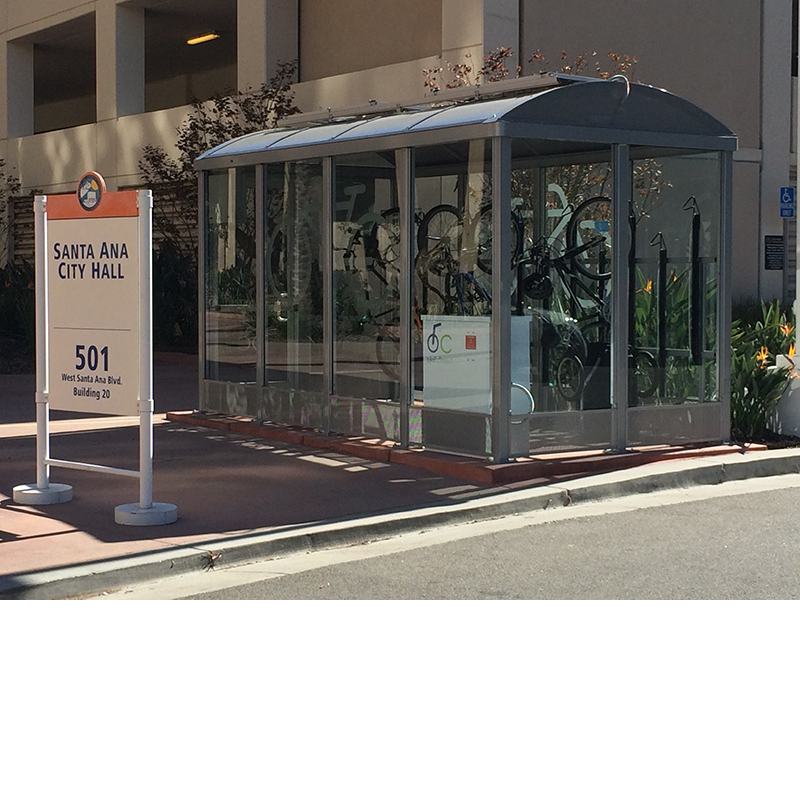 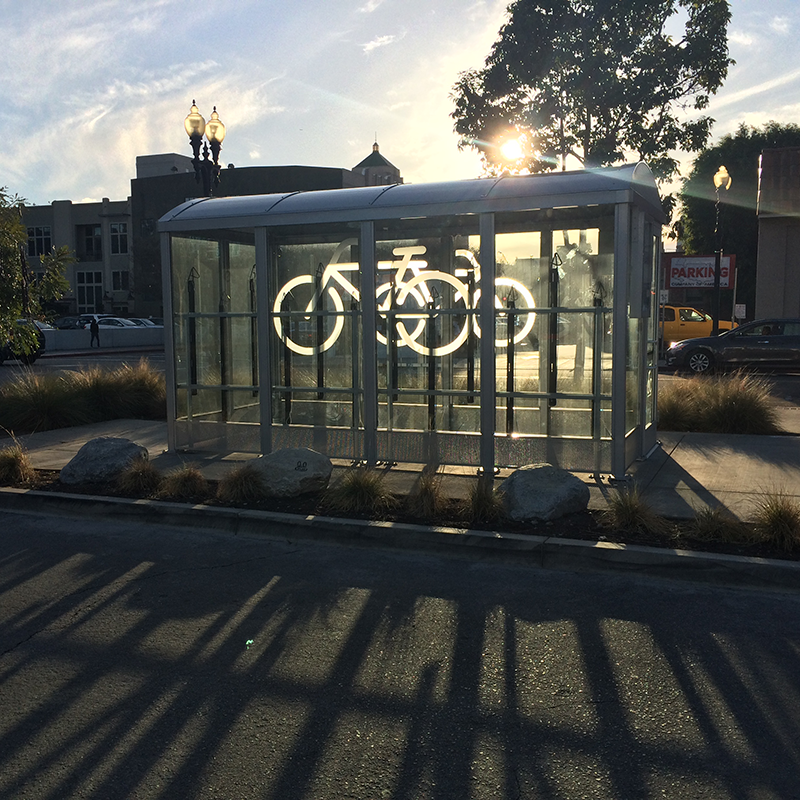 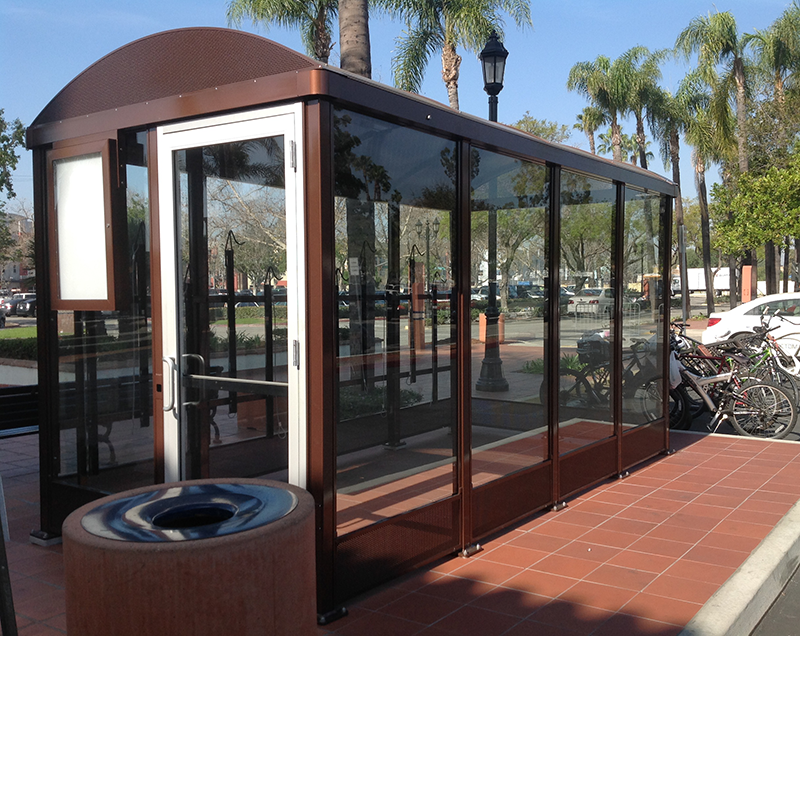 Niagara 360 – 16’ enclosed bike shelter solution, featuring security door with key card entry, video security, and LED illumination. 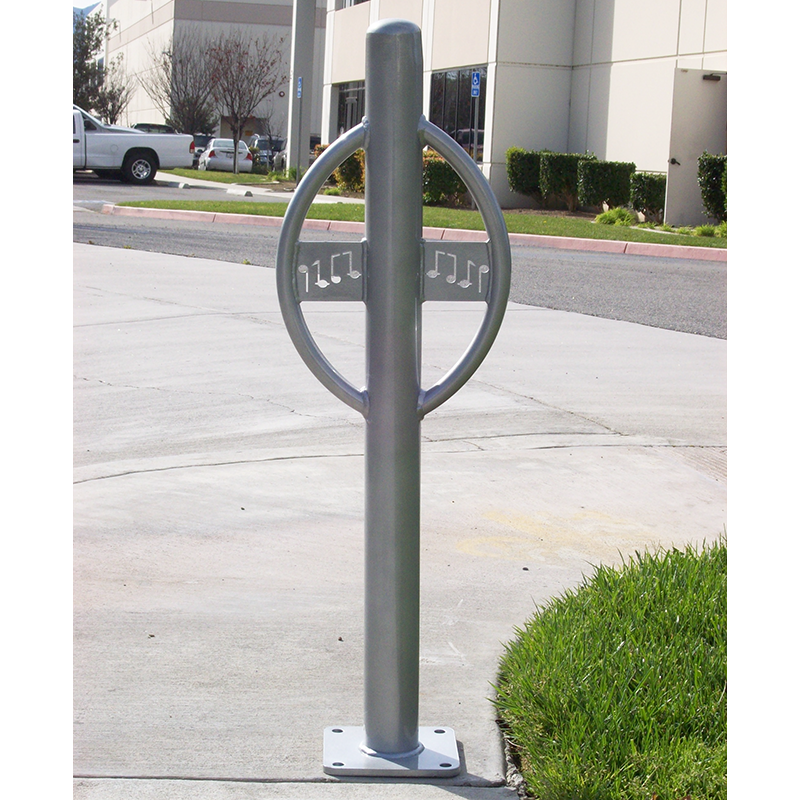 5 bike capacity stainless steel below grade bicycle rack. 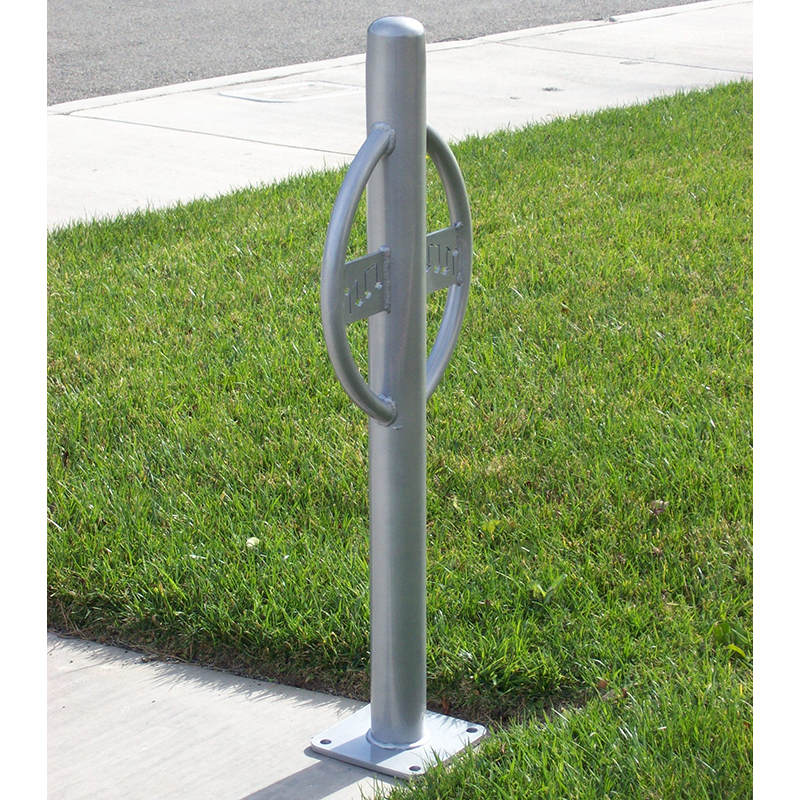 Also available in aluminum and surface mount options. 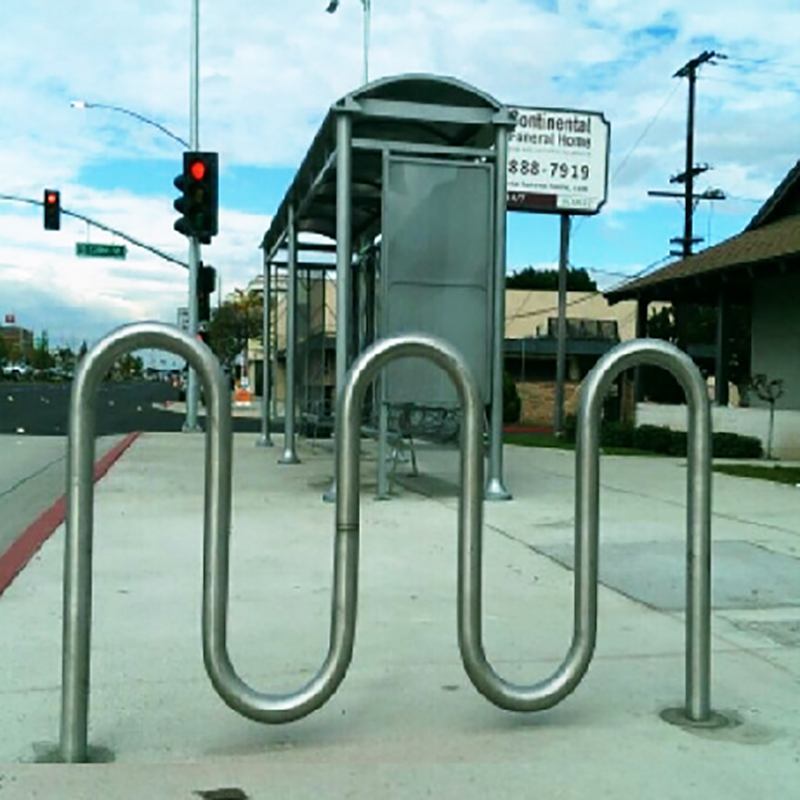 Inverted ‘u’ bike loop, all aluminum construction. 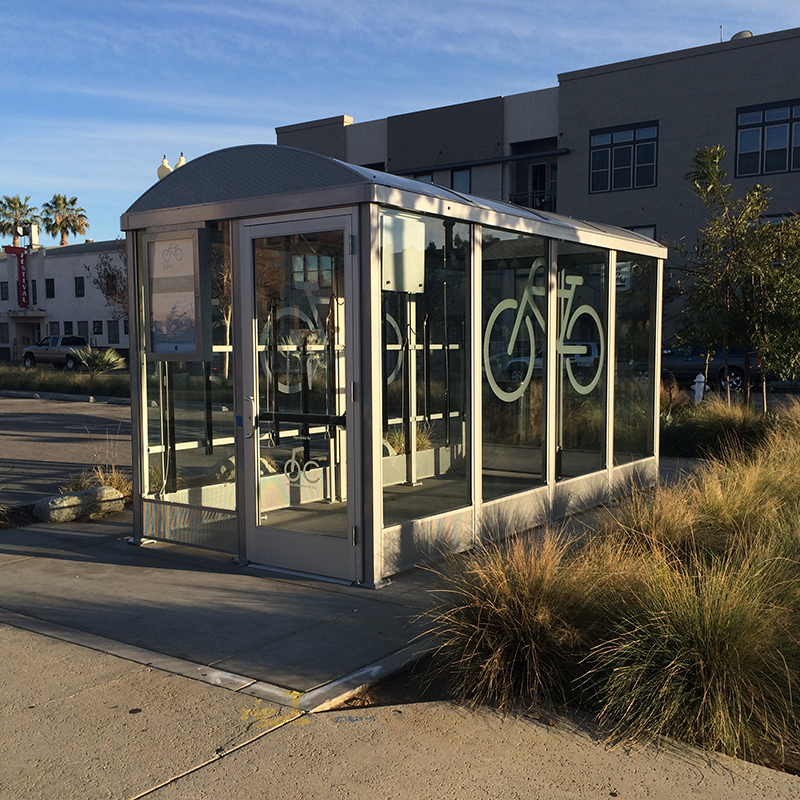 Designed for surface mount. 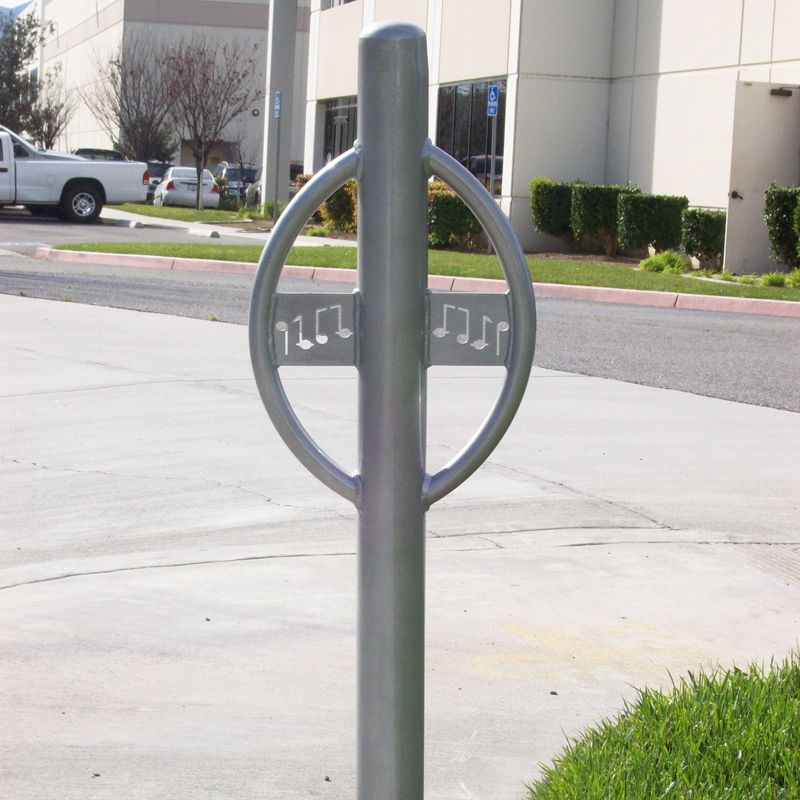 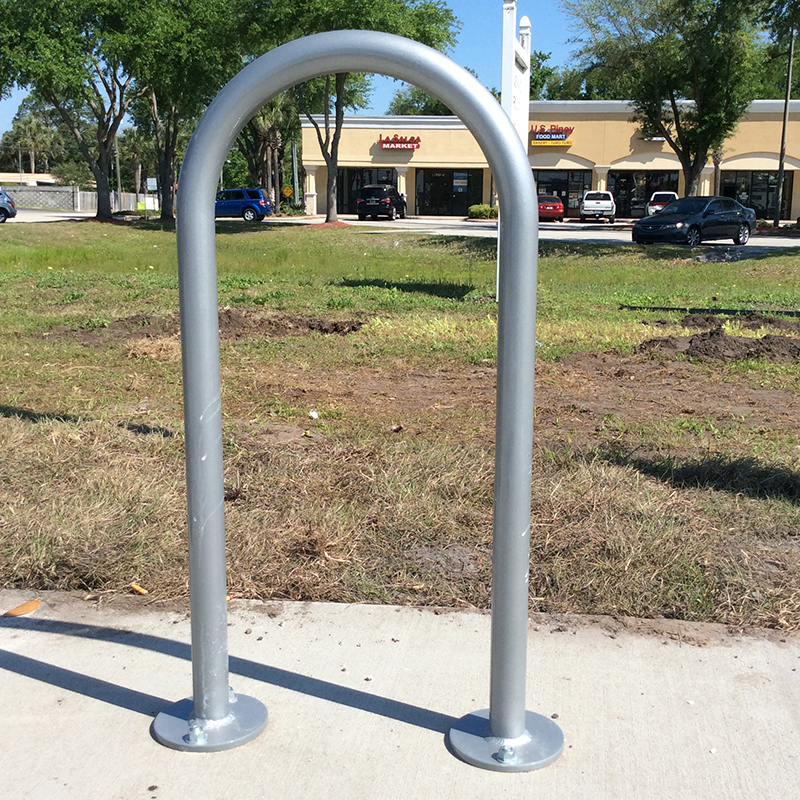 36″ bike bollard with twin loops. 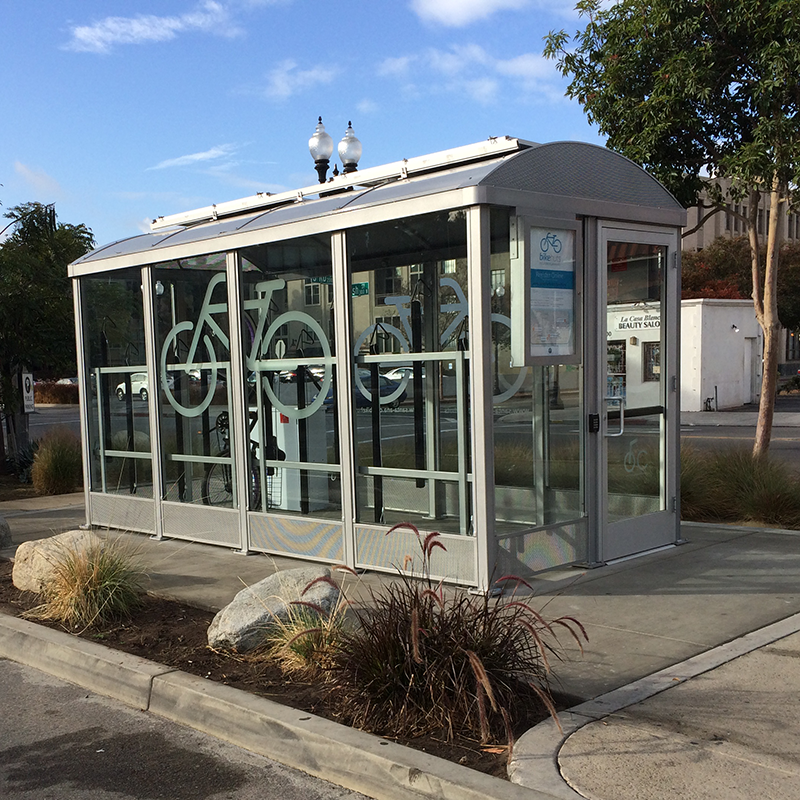 Designed for surface mount.